How will you make more room for God in your life this Lent? 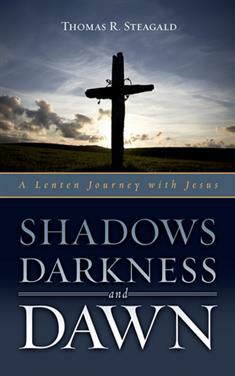 Let Thomas Steagald be your travel guide as you journey through Lent with Jesus. Perhaps you'll find some similarities between these people's spiritual journeys and your own. As Jesus bravely enters the thickening shadows of conflict and rejection, you'll be led to explore shadows in your life. You'll discover the power of Christ's love to set you free from sin and the fear of darkness. Each of the six chapters contains six daily readings that end with thought-provoking questions or calls to action. Day 7 of each chapter encourages you to rest and reflect on the week's theme, and to pray for yourself and others. An ideal resource for individual or group reflection.